Recently, I embarked on a long overdue updating of my blog roll. And oh, what a perilous undertaking! These blogs are not only wonderful in their own right – beautifully written and in many cases beautiful looking too – but these book lovers are very persuasive as well. 2. 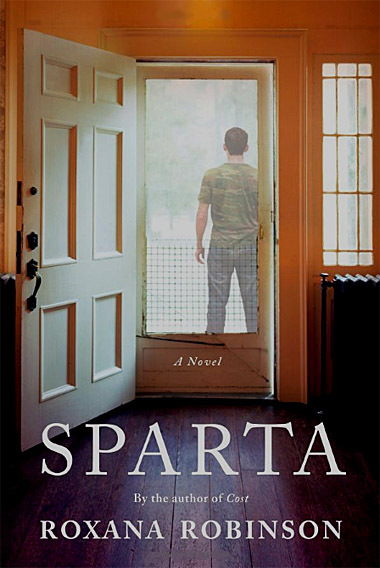 Sparta by Roxana Robinson. I’m reading this for a book club discussion. I had my doubts about this story of a young Iraqi War veteran’s return to his family and civilian life. But actually I think it’s quite wonderful. 3. I’m continuing to work my way through the Schechter anthology. 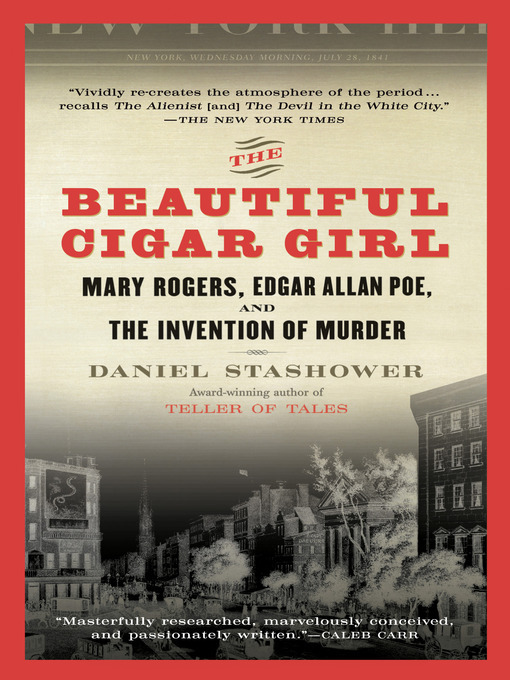 There’s some terrific material included here, perhaps none more powerful, not to mention shocking, than A Memorable Murder (the Smuttynose Murder) by Celia Thaxter. 4. 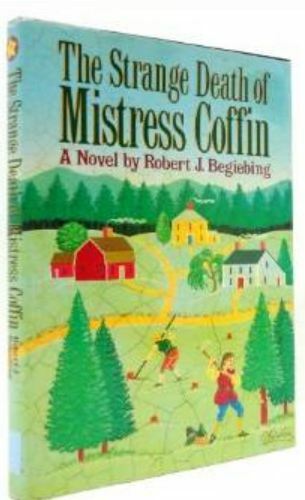 The Strange Death of Mistress Coffin by Robert J. Begiebing. This is reread, and as sometimes happens, I’m not as enthralled with it as I was the first time around. 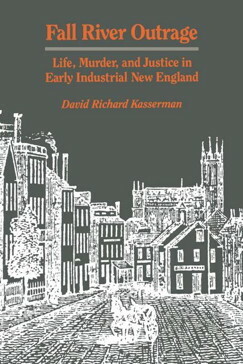 Still, I’m enjoying the depiction of Puritan life in New England. 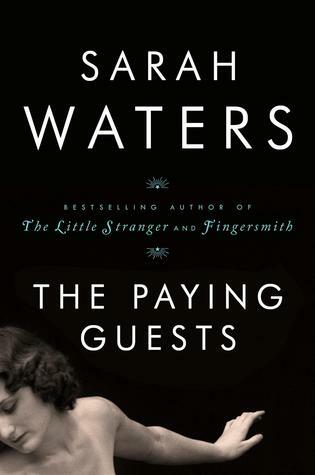 This novel was inspired by an actual crime, and so it fits in well with the background research I’m doing for the true crime course I’ll be teaching next spring. 5. 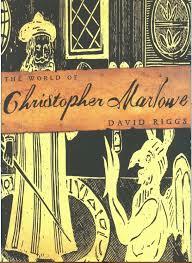 The World of Christopher Marlowe by David Riggs. I’m not sure by what route this book found its way onto my Kindle app, but I’m very glad it did. It is just the change of pace I need right now. And here’s a funny thing. 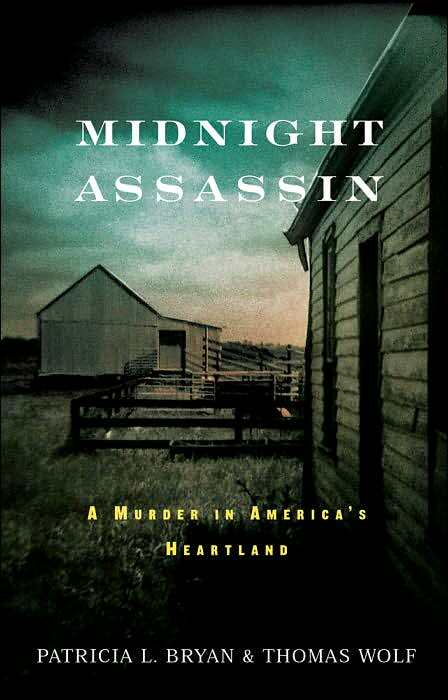 I was thinking to myself, when I first started reading it, that it did not fit in with my current true crime reading. And my very next thought was, oh, wait – Christopher Marlowe, the great reckoning in a little room…. I’ll be interested to see what this author has to say about the murder of the one contemporary of Shakespeare’s who might some day have rivaled the Bard himself for sheer literary genius. Booksplease. How could I have absented myself for so long from Margaret’s delightful site? Have a look for yourself. She has reminded me how much I like W.J. Burley’s Wycliffe mysteries; I’m getting ready to order Wycliffe and the Four Jacks as per her recommendation. And I plan to read Peter Ackroyd’s Shakespeare biography after I’ve finished the Marlowe book (pant, pant). Detectives Beyond Borders. What fun! And edifying, too. 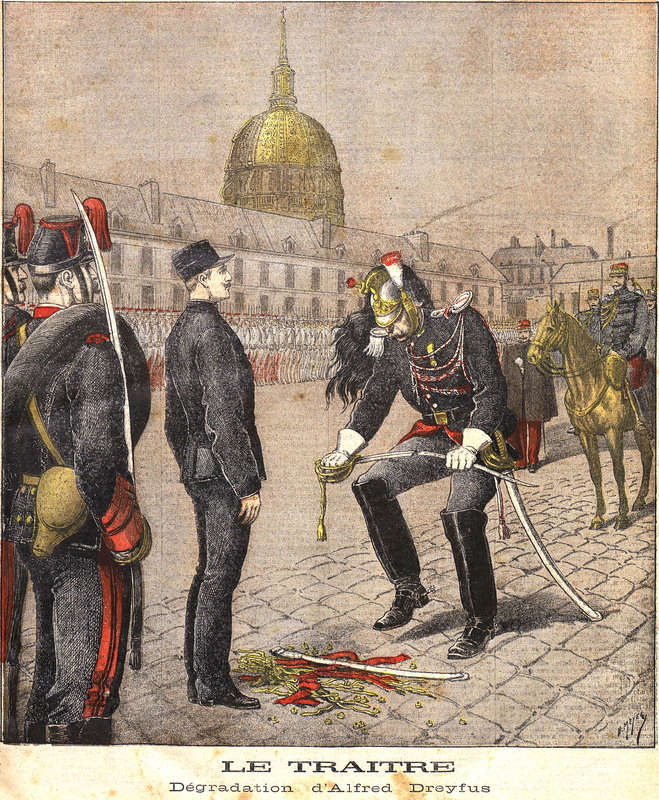 There’s a thoughtful post about historical fiction, a review of Patrick Manchette’s The Mad and the Bad – already on my to-read list, though the sample I downloaded was rather scary. 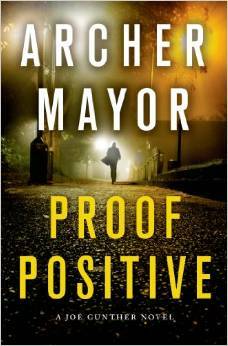 Blogger Peter Rozovsky is getting ready to attend Bouchercon 2014 in California.. Lucky you, Mr. Rozovsky. I went in 2008 when it was just down the road in Baltimore and loved it. 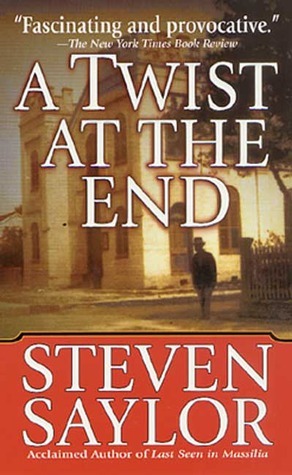 And thanks for the recommendation of Kevin Starr’s work. I too am fascinated by the history of California. Do You Write Under Your Own Name. A long time favorite this one. Martin Edwards writes lively reviews of books, television shows, and films, plus all manner of information about crime fiction scene in the UK. He’s the author of the Lake District series of mysteries, which I highly recommend. One of my favorite features on Martin’s blog is Forgotten Books. This is where I’ve gotten lots of good ideas for reading in the classics. 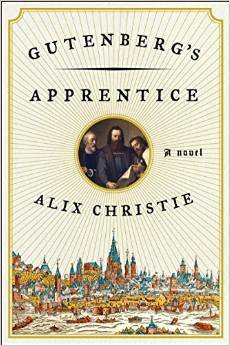 Reviews are glowing for this work set in medieval Germany, by a first time author. 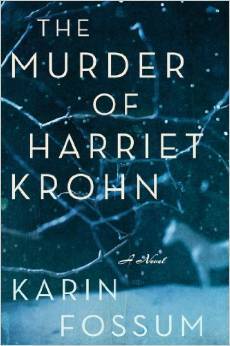 Some comments on the crime fiction: The only thing better than one new Karin Fossum is two new novels by this fine author. 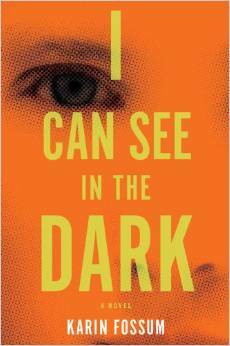 I Can See in the Dark is a non series work, but I forgive her, because The Murder of Harriet Krohn does feature Inspector Sejer (and presumably his newly acquired canine companion, a famously wrinkly Chinese Shar Pei with the improbable name of Frank Robert). 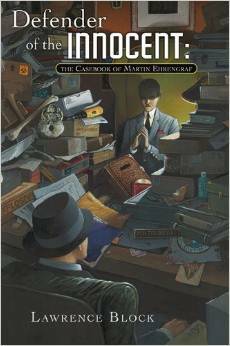 Meanwhile, Lawrence Block introduces yer another new character, defense attorney Martin Ehrengraf. I’ll give it a try, probably, though I was hoping for more of the stellar Keller stories. 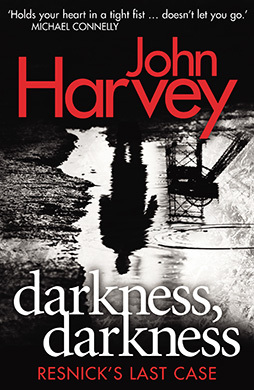 And speaking of stellar, John Harvey rounds out his Charlie Resnick series with a novel that’s been garnering raves from reviewers. The Bookman’s Tale by Charlie Lovett was a pleasant surprise: a novel that used magical realism to very good effect. 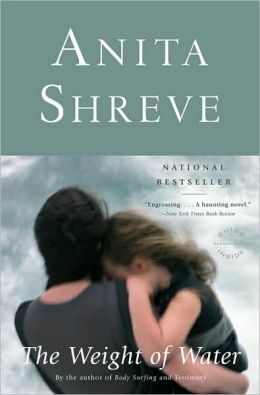 In addition, it was written by someone whose passion for books and reading was obvious and genuine. 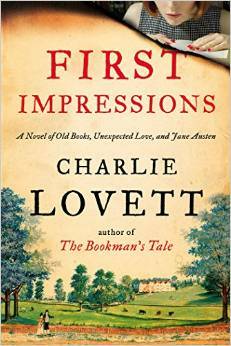 And so I look forward to this author’s latest, First Impressions. 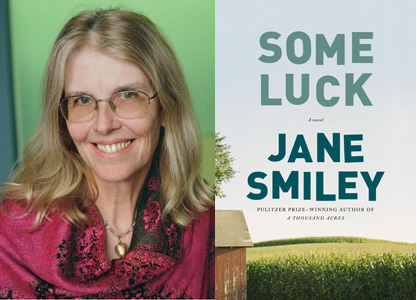 All Bannister’s books have one thing in common: quality. 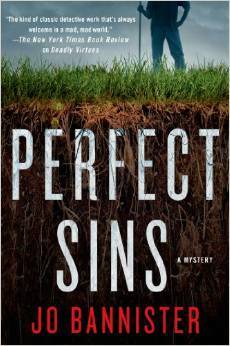 She offers excellent writing, suspense, and variety. Fortunately, her books are now more available (e-book, new and used). 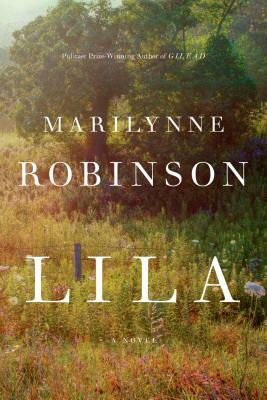 If you haven’t read her, you will be pleasantly surprised. 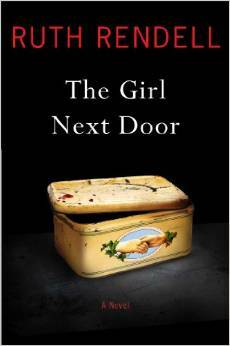 Finally, two that I’m especially happy about: The Stone Wife by Peter Lovesey and The Girl Next Store by Ruth Rendell. Peter Lovesey’s Peter Diamond novels have just been getting better and better of late; Cop To Corpse and The Tooth Tattoo were both outstanding. And as for Ruth Rendell (aka Barbara Vine), it is hard for me to refrain from heaping praise on this, my favorite author. I’m particularly partial to the Wexford novels, but I’ll take anything I can get. Actually, Baroness Rendell of Babergh could compose a shopping list and I would probably still be enthralled! 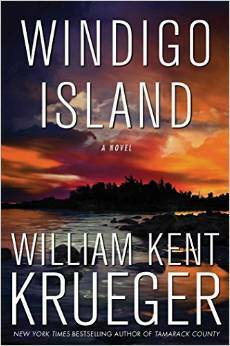 For a fairly comprehensive list of upcoming crime and suspense fiction, I’d like to direct you – once again – to Stop! You’re Killing Me. I admit that the main reason I was eager to get my hands on this book was to see if the author revealed anything of significance about her personal life, past and present. 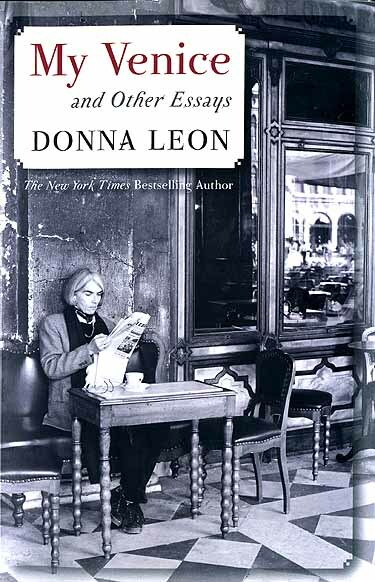 I’ve known for some time that Donna Leon has led an unconventional life, having lived in a variety of countries all over the world before at last settling in Venice. I’ve always been curious about what prompted her to lead this peripatetic existence, so alien to and remote from her native land. So, what did I learn from this collection about this gifted, mercurial person? 1. Living in Venice is hard work, especially as you get older. There are no cars to convey you and your parcels from place to place. ….no building, regardless of its beauty, age, or condition, is safe from spray paint and mindless graffiti; the rocks of the Alberoni, the only swimmable beach here, are awash with plastic bottles and bags; rivers teem with the same detritus; and both sides of state highways would provide a fortune in bottle deposits, had Italy a policy of placing deposits on glass bottles. 3. The bureaucracy will drive you crazy. 4. Italians can be very strange on the subject of food. For instance, all foodstuffs seem to be either pesante (heavy) or leggero (light). The determination as to which is which may depend on whether your mother cooked it for you. They have, these countless millions, effectively destroyed the fabric of life known to the inhabitants of the city for a thousand years, have made life intolerable for residents for vast periods of the year, have led to the proliferation of shops that sell masks, plastic gondolas, tinted paper, sliced pizza, vulgar jester’s hats, and ice cream, all but the last of which the residents do not want and no one on the planet needs. They consume enormous amounts of drinking water and produce an endless supply of waste. 6. Visits to America only serve to reinforce her sense that it is, for her, an alien place. She returns mainly for family reasons. There’s a short, poignant piece on her mother’s funeral in New Jersey; Leon’s talons, mercifully, are retracted. In another essay, she profiles several of the more eccentric members of her clan. They all seem to have gotten along with one another reasonably well. Americans are fat, but in a way that is peculiar to them,as though a race of hermaphrodites had been squeezed out of pastry bag and badly smoothed into shape with a giant spatula, then stuffed into low-crotched jeans and tent-sized T-shirts before being given bad haircuts and sent on their way. Talons back out, and how! 8. She taught in China for a year. She lived in Iran for four years and liked the country very much. She lived and taught in Saudi Arabia for a year and loathed the place, loathes it still. Why was she doing this? She needed the money, she says. But surely there are less stressful ways to get it…. 9. A section “On Men” got my antennae waving, especially in one essay where she confesses to perusing the “Personals” in the New York Review of Books. But alas, she is not doing this for herself, but on behalf of a widowed friend. 10. In a section on music, Leon pours out her love of baroque opera in general and the works of George Frideric Handel in particular. In an essay on Maria Callas, she refers to Tosca as “a vulgar potboiler I wouldn’t today cross the street to hear.” I admit I laughed out loud when I read this. Tosca, by Giacomo Puccini, is my absolute favorite opera. It’s got passion, jealousy, lust, the highest of high drama, and music that is almost too gorgeous to believe. It invariably reduces me to tears. 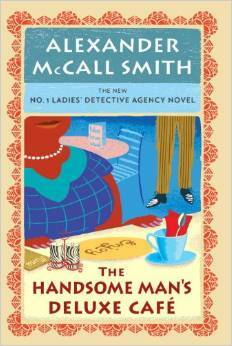 Ah well – chacun à son goût, as I’m sure Donna Leon would agree – or perhaps not. She is, after all, nothing if not a woman of strong opinions. When all is said and done, I encountered no startling revelations of a romantic or familial nature. Donna Leon remains something of a mystery to me. She’s keeping her secrets, as she has every right to do. I’m deeply grateful to her for the Guido Brunetti novels; they’re among the most thoughtful, well written, wryly humorous, and ultimately humane works of crime fiction that I know of. 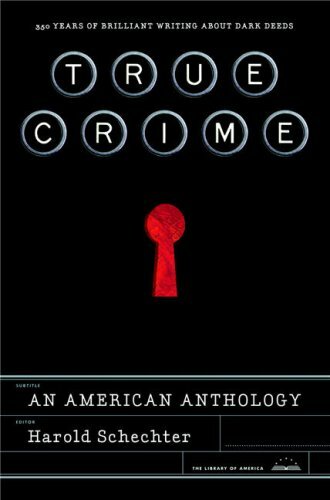 The penultimate essay in My Venice is called “Suggestions on Writing a Crime Novel.” It is, for my money, the best piece in the book, full of useful insights, clearly articulated, concerning the craft of writing crime fiction. (The term ‘craft’ neatly sums up all that I think is not quite right about much contemporary fiction. I refer to the lack of structure, indifferent writing, inconsistent characterization, and a host of other problems.) Here’s Donna Leon on the subject of narrative point of view; specifically, the issues raised by an author’s choice to write in the first person. The practical danger resulting from the decision to use the first person should be immediately obvious: the acquisition of information. There are only o many ways a character can obtain information: he can hear it or see it or read it. (Okay, smell and taste, but let’s be serious here.) Does he hear or does he overhear?If he’s going to hear it, then he has to be a character who is sufficiently sympathetic to be trusted by many different people and thus trusted with their confidences. If he’s going to overhear, then he’s got to be lucky to be in the right place at the right time. when the wrong things are said. I recommend this essay not only to writers, but also to readers in search of criteria to use when evaluating their reading matter. After I read it, I thought to myself, so that’s why Leon’s Guido Brunetti novels are so excellent. Some twenty years ago, Graham Lord, a would-be biographer of John LeCarre, was making the rounds of publishers with a book proposal. The confidential document promised some truly salacious revelations. Lord thought he might be sitting on a gold mine! 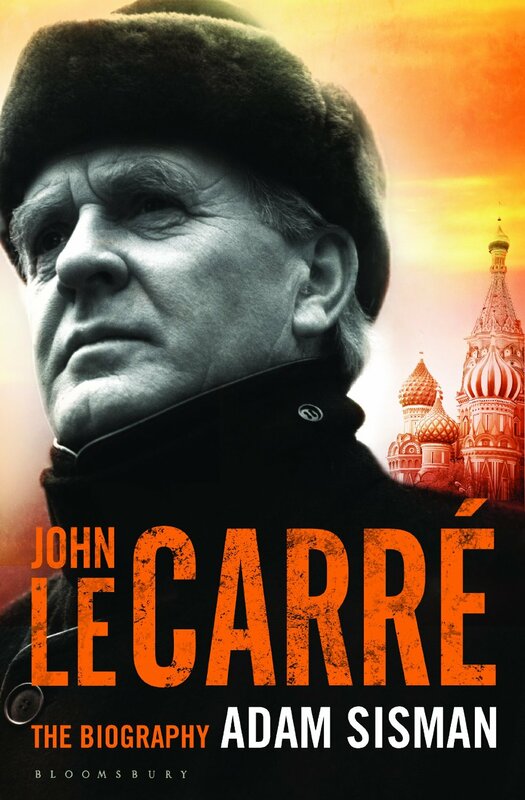 The basic facts of LeCarre’s early life are these: he was born David John Moore Cornwell in Poole, Dorset, in 1931. His parents were Ronnie and Olive Cornwell. He had an older brother and a younger sister. when he was five, Olive deserted the family, leaving the three children to Ronnie’s tender mercies. Sherborne in my day had been rustic, colonialist, chauvinist, militarist, religious , patriotic and repressive. Boys beat other boys, housemasters beat boys, and even the headmaster turned his hand to beating boys when the crime was held to be sufficiently heinous or school discipline was thought to be slipping. I don’t know whether masters beat masters but, in any case, I loathed them, and I loathed their grotesque allegiances most of all. To this day, I can find no forgiveness for their terrible abuse of the charges entrusted to them. It seems incredible now that such practices persisted well into the twentieth century. Fortunately, with regard to Sherborne and other schools like it, things have changed. Many are now co-educational and accept many more day students than was formerly the practice. Judging from its site, Sherborne itself, while still a boys only establishment, looks quite civilized. LeCarre eventually went to Lincoln College, Oxford, graduating in 1956 with a first class Honors Degree degree in modern languages. He also studied abroad for a time in Switzerland. During all of this, he became involved in intelligence work, variously with the military, with MI5 and eventually MI6. John LeCarre has written twenty-two novels, six of which feature George Smiley as the protagonist. 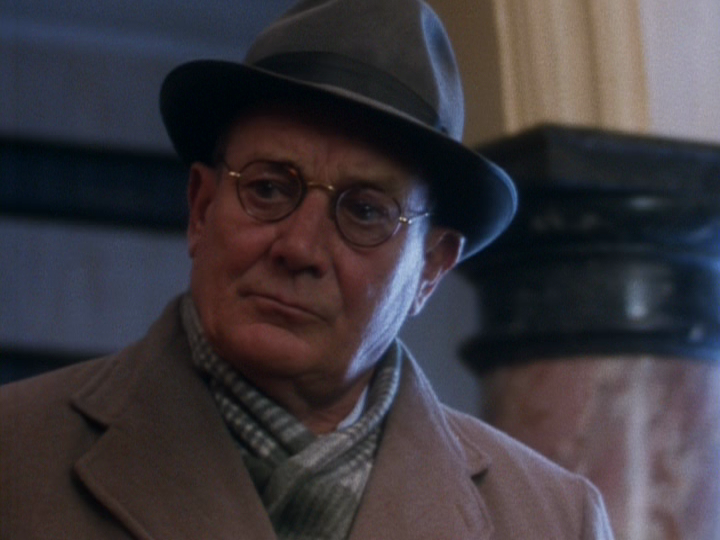 (Smiley has a supporting role in The Spy Who Came in From the Cold. 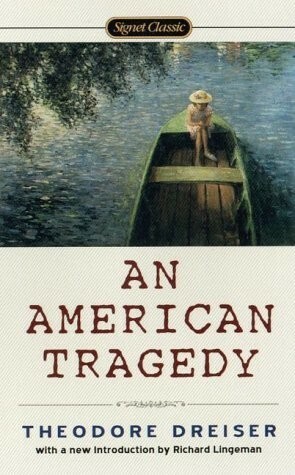 The main character in that book is Alec Leamas, memorably portrayed in the 1965 film by Richard Burton.) A Murder of Quality (1962) comes second in LeCarre’s oeuvre. It is preceded by Call for the Dead (1961). For the complete list of LeCarre’s works, and awards and nominations, see the entry on Stop!You’re Killing Me. I read A Murder of Quality because it was recommended to me by a library friend whose judgment I trust. When I at first demurred, saying that I always found LeCarre’s plots difficult to untangle, she reassured me that this was in fact a straight up murder mystery rather than a novel of espionage and was therefore easier to follow. (She was partly right.) 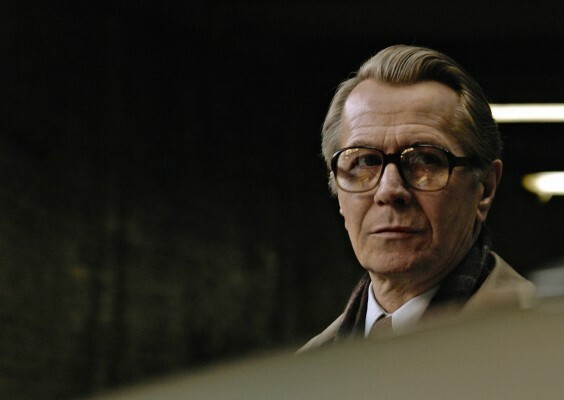 Moreover, the chief investigator is none other than the redoubtable George Smiley himself. Up until this time, I had read only two LeCarre novels: Smiley’s People, when it came out in 1980, and The Constant Gardner (2000). 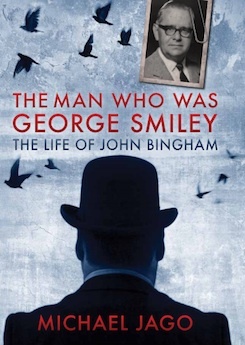 But like many thriller fans, I’m intrigued by George Smiley: his origins, his characteristics, and above all, his strangely incongruous marriage to the beautiful and inconstant aristocrat, Lady Ann Sercomb. 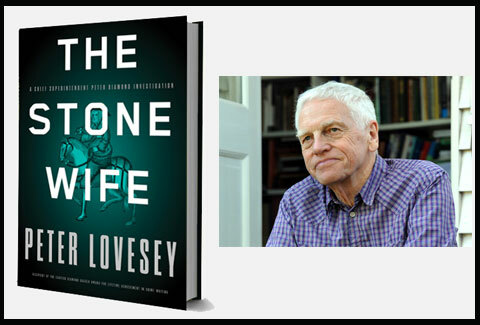 LeCarre himself has named two individuals as inspiraton for his creation. One is John Bingham, a fellow novelist and his mentor at MI5, and the Reverend Vivian Green, sub-Rector of Lincoln College Oxford, while LeCarre was a student there. John Bingham started me off, there is no doubt of it. John looked a bit like Smiley and wrote his thrillers in the lunch hour. Later he became, through no fault of his own , an Earl, a transition I can never quite forgive in anybody with a sense of humour . He was one of the good ones, all the same, Earl or spy: a kindly, gracious, astute man, ex-journalist, ex– Control Commission, intelligence professional to his fingertips. Where Bingham believed that uncritical love of the Secret Services was synonymous with love of country, I came to believe that such love should be examined. And that, without such vigilance, our Secret Services could in certain circumstances become as much of a peril to our democracy as their supposed enemies. John Bingham may indeed have detested this notion. I equally detest the notion that our spies are uniformly immaculate, omniscient and beyond the vulgar criticism of those who not only pay for their existence, but on occasion are taken to war on the strength of concocted intelligence. Short, fat, and of a quiet disposition, he appeared to spend a lot of money on really bad clothes, which hung about his squat frame like skin on a shrunken toad. Sawley, in fact, declared at the wedding that “Sercomb was mated to a bullfrog in a sou’wester.” And Smiley, unaware of this description, had waddled down the aisle in search of the kiss that would turn him into a Prince. In Chapter Two, entitled “The Thursday Feeling,” we find ourselves in London, in the company of Miss Ailsa Brimley, editor of a small but persistent journal called Christian Voice. She has just completed preparations for the forthcoming issue and is feeling quite satisfied with life in general and her work in particular. Miss Brimley, alone in the Voice office, is getting ready to shut up shop for the day when a letter comes inadvertently to her attention. It is from Stella Rode, a long time subscriber and supporter of Christian Voice. She is now the wife of a faculty member at Carne School. The purport of this letter is startling and deeply disturbing: Stella fears that her husband intends to kill her. She does not want to involve the police in this matter, at least not yet. Can Miss Brimley help her? Miss Brimley can. She knows just who to call. She and George Smiley had worked together in the intelligence service during the war. And in fact, they had both worked with Adrian Fielding, brother of Terence Fielding, currently at Carne School. Within minutes, Miss Brimley is in George Smiley’s flat. Smiley puts through a call to Terence Fielding at Carne and receives some shocking news. He, Smiley, must proceed to Carne without delay. The game is already afoot. Abruptly she stood up, the letter still in her hand, and walked to the uncurtained window. Just in front of her was a contemporary window-box of woven white metal. It was odd, she reflected, how she could never get anything to grow in that window-box. She looked down into the street, a slight, sensible figure leaning forward a little and framed by the incandescent fog outside; fog made yellow from the stolen light of London’s streets. She could just distinguish the street lamps far below, pale and sullen. She suddenly felt the need for fresh air, and on an impulse quite alien to her usual calm, she opened the window wide . The quick cold and the angry surge of noise burst in on her, and the insidious fog followed. The sound of traffic was constant, so that for a moment she thought it was the turning of some great machine . Then above its steady growl she heard the newsboys. Their cries were like the cries of gulls against a gathering storm. She could see them now, sentinels among the hastening shadows. Upon arriving at Carne, Smiley finds himself in an enclosed, almost claustrophobic atmosphere, rife with cynicism, suspicion and dislike. LeCarre has denied that his own alma mater Sherborne, served as the model for Carne, but that seems rather disingenuous on his part. Our group had the benefit of Pauline’s familiarity with British educational practices during this time. She herself briefly attended a girls’ boarding school – she even had a pen pal at Sherborne! And she made an interesting observation; namely, that often when children and youths find themselves living in a trying situation such as boarding school can be, with no parents nearby to advise and encourage them, they’re forced to fall back on their own resources. For some, that can be a strengthening experience. It was a peculiarity of Smiley’s character that throughout the whole of his clandestine work he had never managed to reconcile the means to the end . A stringent critic of his own motives, he had discovered after long observation that he tended to be less a creature of intellect than his tastes and habits might suggest; once in the war he had been described by his superiors as possessing the cunning of Satan and the conscience of a virgin, which seemed to him not wholly unjust. 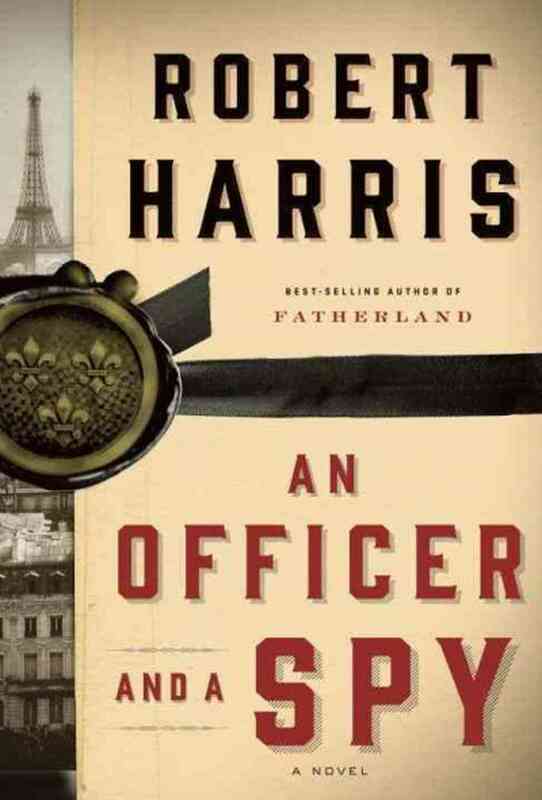 A bit later, in the same chapter, we’re told of Smiley that “Obscurity was his nature, as well as his profession.” LeCarre goes on to make a general observation that “The byways of espionage are not populated by the brash and colourful adventurers of fiction.” As Ian Fleming had already sprung James Bond on a delighted reading public – the first, Casino Royale, came out in 1954 – we can guess what probably prompted this comment. Smiley, apparently accustomed to this sort of mockery, does not respond. Frances had an interesting theory about Lady Ann. Perhaps she recognized the fact that Smiley had an extraordinary mind and might be a fascinating person to live with. Unfortunately, she did not have the bottle to stick around and see if the idea bore fruit. Someone – sorry, I forgot who – observed that for a book written in the early 1960s, A Murder of Quality reflected almost no awareness of the seismic social and political changes engulfing the world. In fact, Britain was just on the cusp of those changes: decimalization of their currency, decriminalization of homosexual acts in private, between consenting adults, and abolition of the death penalty for murder – all were shortly to come. 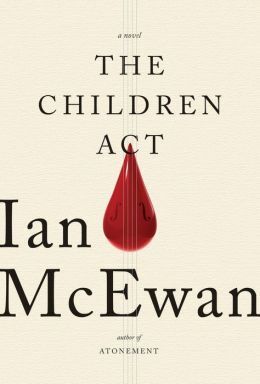 So, in the sense, this novel reflects old mores and antiquated prejudices, about to be swept away (Although this is doesn’t quite produce the wholesale change in hearts and minds that people assume it will, at least not at the beginning). At any rate, when Fielding cries out, “They’ll hang me,” he has good reason to fear. Pauline had with her an edition of Call for the Dead which included a foreword by Otto Penzler. 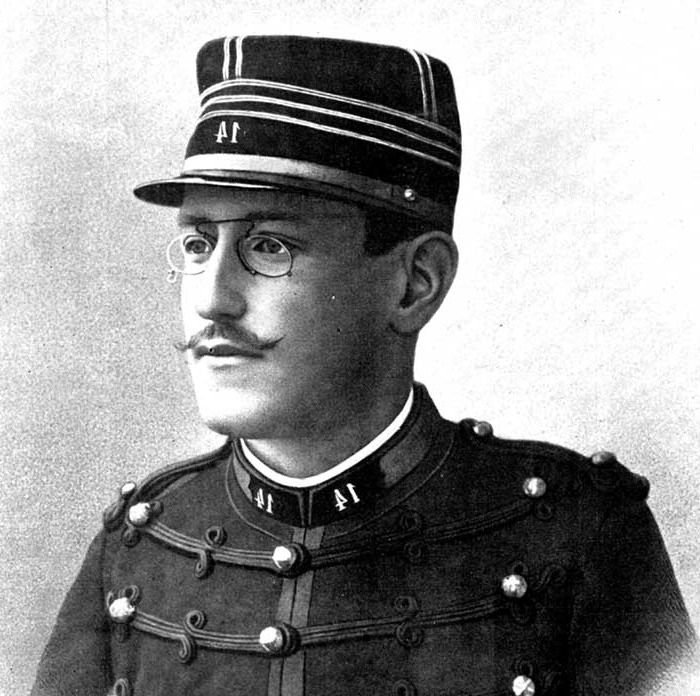 Penzler was of the opinion that LeCarre’s characters shared certain traits with those of Charles Dickens and Jane Austen. When Pauline first mentioned this, I thought it bizarre, but after the discussion had gotten under way, I think we were more able to grasp his point. I’ve already said that Ailsa Brimley was of a type; the same might be said of Felix D’Arcy and his sister Dorothy, Jane Lyn, or “mad Janie,” Stanley Rode, Shane Hecht, and even Terence Fielding himself. They’re real people, yet they are also exaggerated portrayals. For his part, Inspector Rigby was the world weary yet stalwart and conscientious law officer so often encountered in detective fiction, from Sergeant Cuff and Inspector Bucket down to the present day. 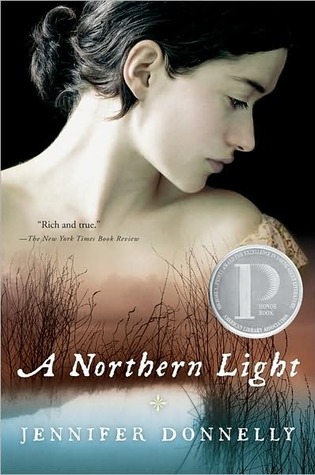 What one misses in this novel and so readily finds in the works of Dickens and Austen is the occasional lightening of tone, if not downright comic relief. The atmosphere in A Murder of Quality is almost unremittingly grim, almost Gothic. I had a problem with Stella Rode. The different facets of her character – reported to us, of necessity, by others – did not seem to cohere. Others in the group, however, disagreed with me, believing that she was sufficiently cunning to encompass contradictory traits and to deceive the unsuspecting in the process of exercising her wiles. So, who was the most genuinely interesting, even appealing, character in the novel? One whose actions and reactionstended to be both unexpected and unpredictable? For me, that person was George Smiley. I haven’t said much about the actual plot of this murder mystery. That’s because I thought it at several key junctures to be quite confusing. (The other Suspects present largely agreed with me.) 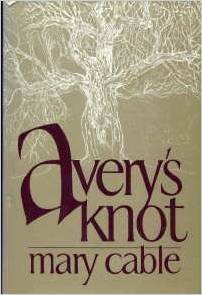 Also a great deal of explication and explanation was piled on at the very end of the book. This happens not infrequently in crime novels, and I always find it to some degree unsatisfactory. 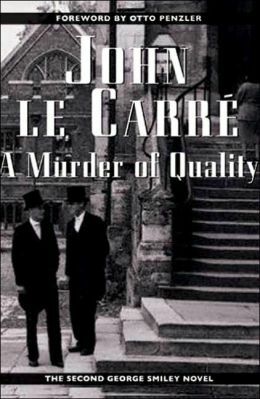 I think the over all verdict of our group was that A Murder of Quality was an interesting novel in many ways, but something of a period piece as well as a journeyman work for LeCarre. 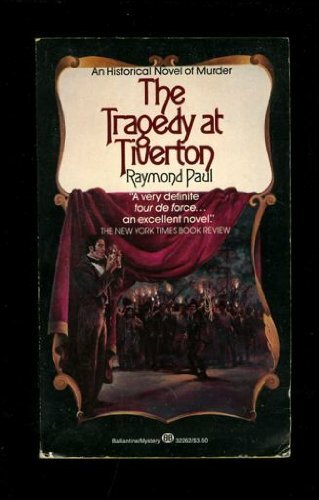 The novel that followed, his third, took the literary world by storm. The Spy Who Came in From the Cold signaled the end of LeCarre’s apprenticeship and his emergence into the world of spy fiction as a true master. Suspects, I hope you enjoyed this discussion as much as I did! The village of Pylle lies to the south of North Fields, upon a high spur which rises steeply from the flat, damp pastures of the Carne valley. It consists of a handful of stone cottages and a small inn where you may drink beer in the landlord’s parlour. Seen from Carne playing fields, the village could easily be mistaken for an outcrop of rock upon a tor, for the hill on which it stands appears conical from the northern side. Local historians claim that Pylle is the oldest settlement in Dorset, that its name is Anglo-Saxon for harbour, and that it served the Romans as a port when all the low-lands around were covered by the sea. They will tell you, too, that King Arthur rested there after seven months at sea, and paid homage to Saint Andrew, the patron saint of sailors, on the site of Pylle Church, where he burned a candle for each month he had spent afloat; and that in the church, built to commemorate his visit and standing to this day lonely and untended on the hillside , there is a bronze coin as witness to his visit— the very one King Arthur gave to the verger before he set sail again for the Isle of Avalon. 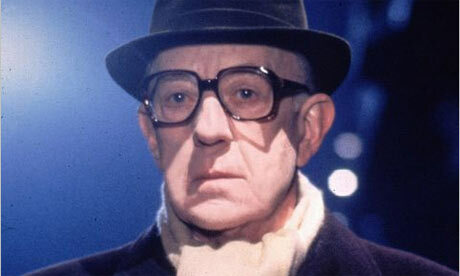 Alec Guinness as George Smiley, whom he portrayed in the tlelvised films of Tinker, Tailor, Soldier, Spy (1979) and Smiley’s People (1982). For many, his is the quintessential depiction. 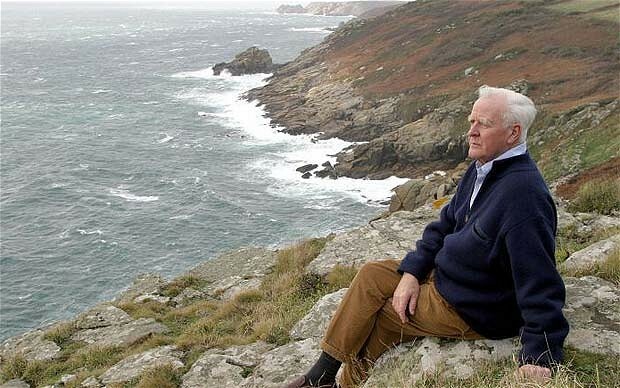 John LeCarre, with suitably brooding mien, at his cliffside retreat in Cornwall.